Two miles from the coastal town of Falmouth, Meudon is a four star country house hotel nestled in 8 and half acres of gardens, sweeping down to the pr..
Set in a beautiful, unspoilt corner of Cornwall, the charming family-run Trelawne Hotel is set just 10 minutes’ drive from Falmouth. It offers unriv.. Located 27 km from St Ives, Manacle offers pet-friendly accommodation in Constantine. The unit is 32 km from Newquay. There is a dining area and a ki.. 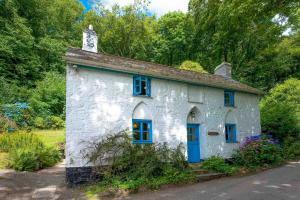 Located in Constantine, Keeper'S Cottage is a cottage boasting a barbecue. The property is 27 km from St Ives and free private parking is available. F..
Set in Flushing, this holiday home is located 28 km from St Ives. The property is 31 km from Newquay and boasts views of the city. Free private parkin..
Coach House II is a holiday home situated in Flushing in the Cornwall Region and is 28 km from St Ives. It provides free private parking. Free WiFi is..
Farrier Cottage is a holiday home set in Flushing, 28 km from St Ives. The unit is 31 km from Newquay, and guests benefit from free WiFi and private p.. Located in Falmouth, this holiday home features free WiFi. The holiday home is 8 km from Pendennis Castle. The unit equipped with a kitchen with an o.. Situated in the seaside town of Falmouth, Trecombe Lakes offers stylish pods equipped with a kitchen, decked area with seating & BBQ facilities and a .. 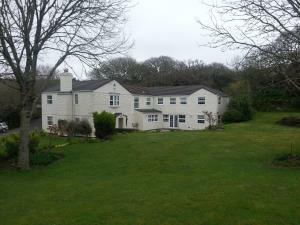 Located 3.5 km from Pendennis Castle, Trellee offers accommodation in Falmouth. It provides free private parking. A dishwasher and an oven can be fou.. 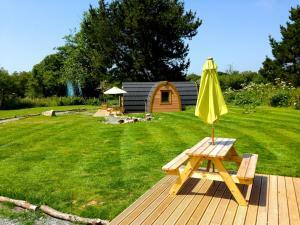 Featuring a garden, Star Gazy is a holiday home situated in Falmouth in the Cornwall Region. The property features views of the garden and is 3.5 km f.. Located in Falmouth, this holiday home is situated 3.5 km from Pendennis Castle. It provides free private parking. A dishwasher, an oven and a toaste..
Set in Penryn, this holiday home is located 27 km from St Ives. It provides free private parking. There is a dining area and a kitchen complete with ..
Coverack is a holiday home with a hot tub, situated in Penryn. The property is 27 km from St Ives and free private parking is featured. The kitchen i..
Lamorna is a holiday home with a hot tub, located in Penryn. The property is 27 km from St Ives and free private parking is provided. The kitchen has..
Sennen offers accommodation in Budock Water. The property features views of the city and is 27 km from St Ives. An oven, a toaster and a refrigerator..
Mawnan is a holiday home is situated in Budock Water and is 27 km from St Ives. The unit is 30 km from Newquay. The kitchen comes with an oven. There.. Situated in Falmouth in the Cornwall Region, this holiday home is 1.7 km from Pendennis Castle. It provides free private parking. The kitchen is fitt.. Situated just outside Constantine village, the family-run Rosmerryn B&B offers free Wi-Fi and free parking. Each room has tea and coffee facilities, ..
Offering a garden, The Falmouth Beach Apartments is located in Falmouth. Pendennis Castle is 1.6 km away. Free WiFi is provided throughout the propert..